Wack Comments: Why should I Comment on a wack? A wack Comment represents how you’re feelin’, what you’re thinkin’, about a wack. Any wack. At the base of every posted wack, you’ll see a handy box. And though it looks small, that box speaks volumes. Think of it as your personal soapbox. The spot to speak your mind. If you’ve got something to say, this is the place to do it-plus it’s far safer than shouting from rooftops. After you’ve rated a wack, you’ll wanna Comment when you've got somethin' to say. Wacktrap members are waiting to hear from you. Make it as long or as short as you want. Size doesn’t matter, but content does. Just like wack Ratings are crucial to movin’ your wacks to the top of the stack, Wacktrap Comments let the world know just how good-or great-a wack really is. Scroll to the bottom of any wack you read. That's the spot where you'll ‘Post a Comment,’ where your remarks will appear instantly. The great thing about Comments: they’re not goin’ anywhere. Your Comment will always remain permanently attached to its wack, so your remarks will never be out of context. How often does life make that guarantee? And what if you’ve got somethin’ to say about your own wack? Sometimes you’ve forgotten a detail. Or sometimes more just happens to occur, and that means you’re going to want to update that wack. When you’ve got a bit or byte to add, ‘Post a Comment’ is your go-to. And if that wack becomes spotlighted on the Wacktrap homepage, so are those Comments-and so are you. 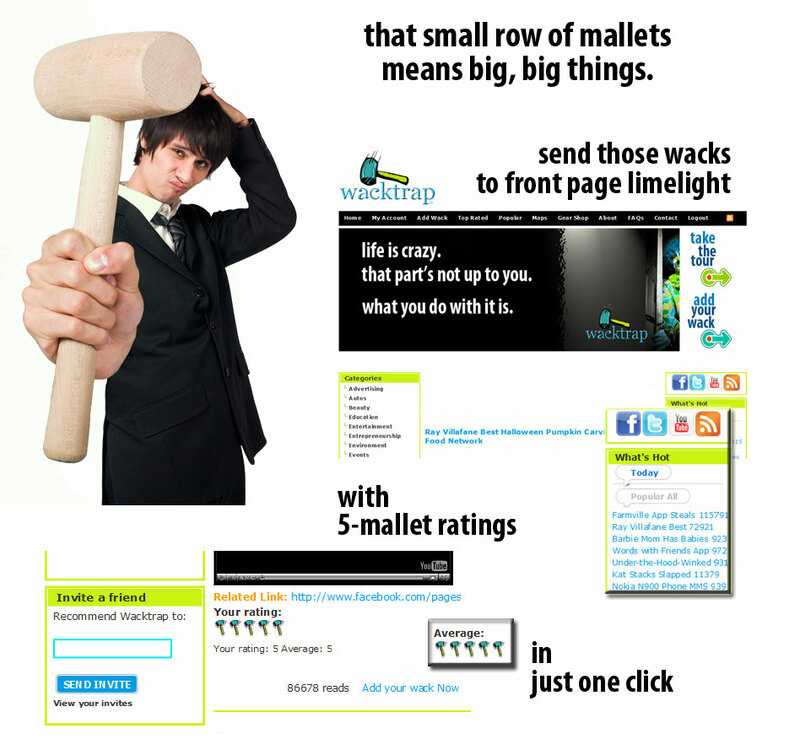 Your insight may just land you smack on the Wacktrap homepage for your time to shine. Can I Comment on my own wack? Absolutely. You can Comment on your own wack at any time. Your original wack can't be altered or edited once it's submitted-the wack Comment area is designed for that extra stuff you want to squeeze in, or just have to say after the fact. Sometimes you’ve forgotten a detail. Or sometimes more occurs-where you feel that compulsion to follow up and update that wack.